Delightful 2 stone diamond swirl engagement ring, set with a matching pair of round brilliant cut diamonds above a mirror finished comfort fit band. 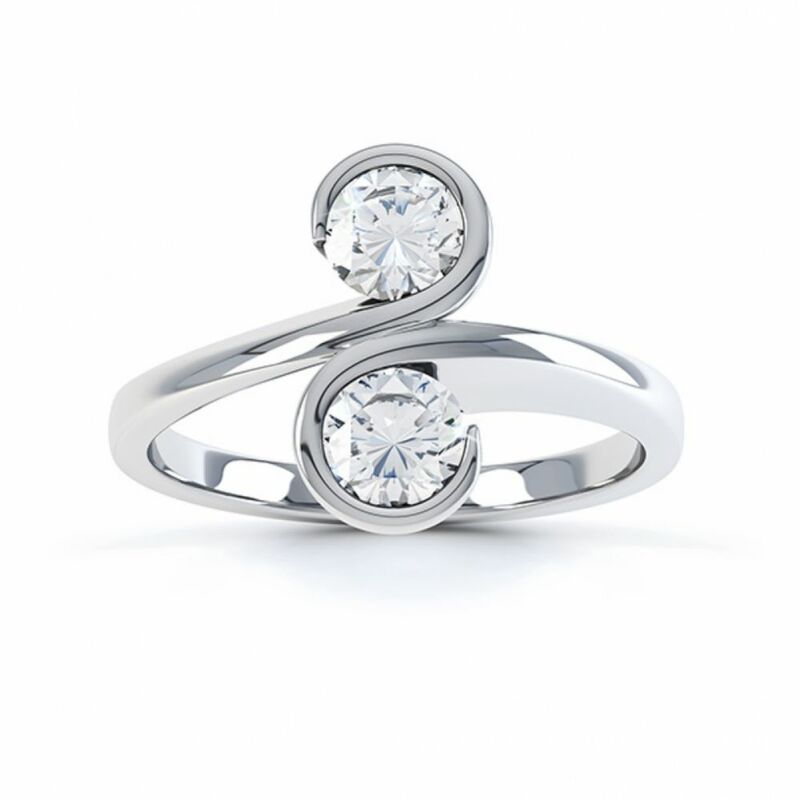 The Couplet is a striking 2 stone Diamond swirl ring design, with 2 Round Brilliant cut Diamonds Bezel set in the symmetrical flowing 'S' Shaped design. 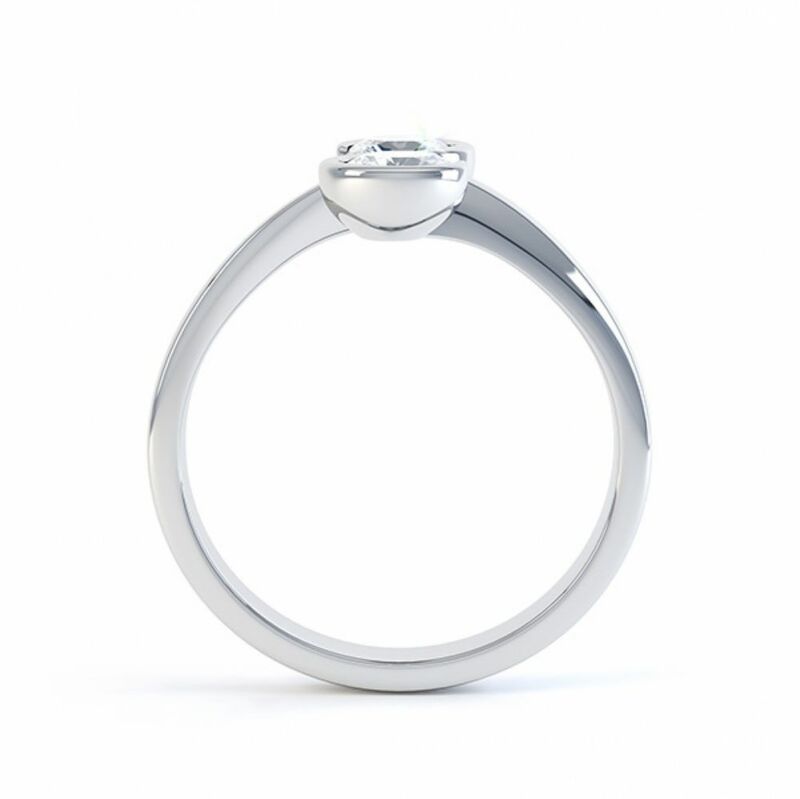 This special offer has been set with 2 x 4mm, 0.25cts diamonds totalling H Colour and SI1 Clarity. The diamonds have been graded prior to setting. The setting length is approximately 12mm and runs along the finger over solid tapering shoulders and a court ring profile. 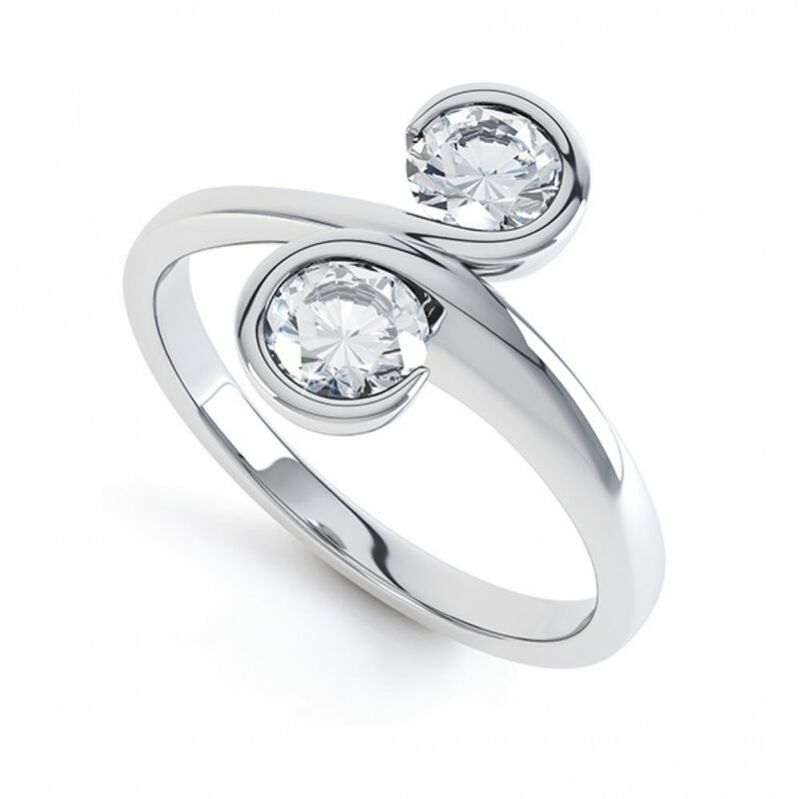 Created in 18ct white Gold and fingersize N, this ring is ready for immediate dispatch and can be with you with Next Day Delivery (within the UK), and with you in just a few days if you live internationally. Presented in our bespoke packagin, it will arrive straight to your door with a secure courier.